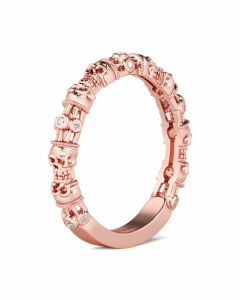 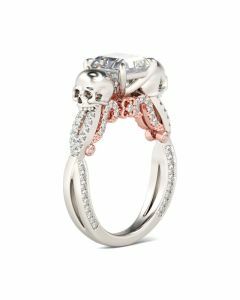 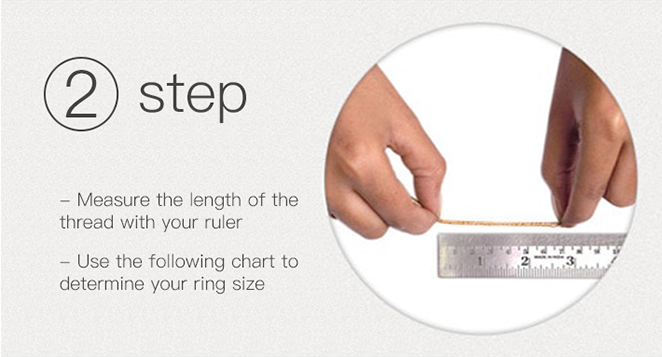 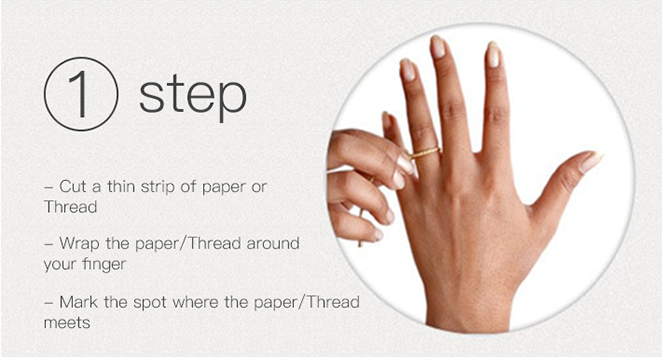 This perfect skull ring seals your vows with stunning style. 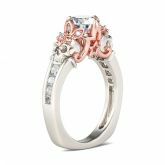 Graceful and glamorous, a brilliant round cut stone shines at the center of this style. 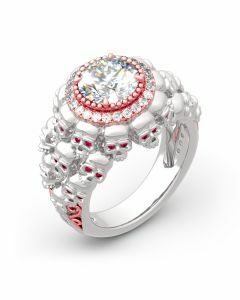 Two shimmering skulls decorated with flowers flank the center stone,creating a truely distinctive look. 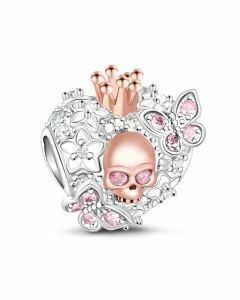 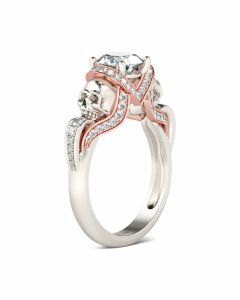 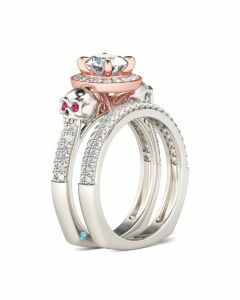 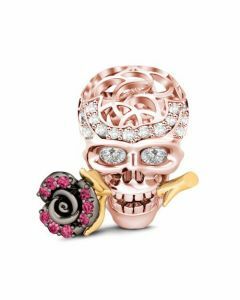 Sparkling with detail, stylish in two tone design, this skull and flower ring is a romantic choice for everyday wear or special occasion.